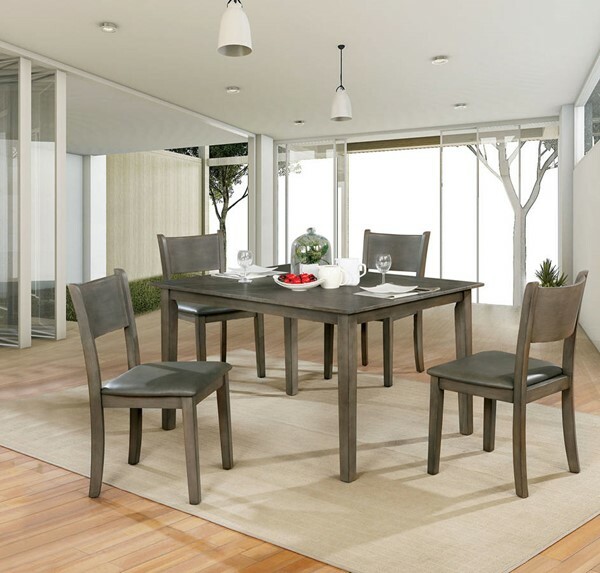 Instantly create a cozy dining spot with this handsome wooden dining set. The gray finish is painted with swirling black and dark wood grain patterns giving you a soothing rustic feel. Relax on comfortably cushioned seats and a panel back provides additional support and a classic silhouette. This five piece set is perfect for apartments or a nestled breakfast nook at home.